For matrices there is no such thing as division, you can multiply but can’t divide. 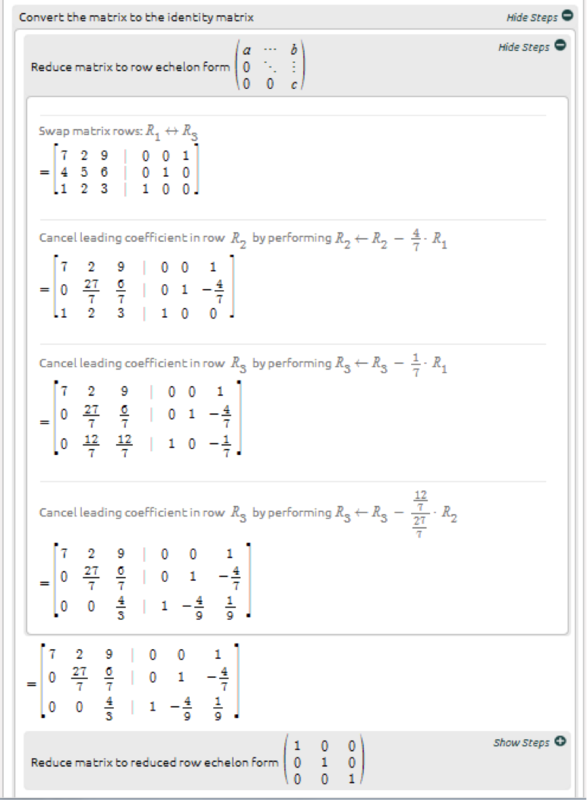 Multiplying by the inverse matrix results in the same thing. 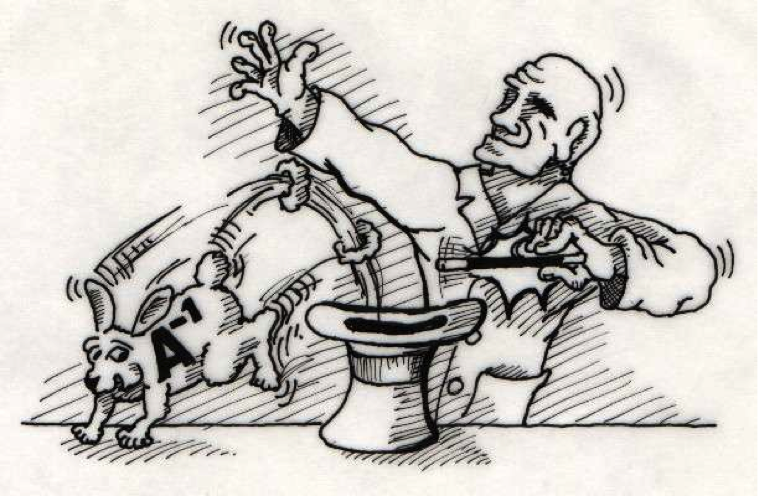 The inverse of a matrix A is A-1 only when: A × A-1= A-1 × A = I. 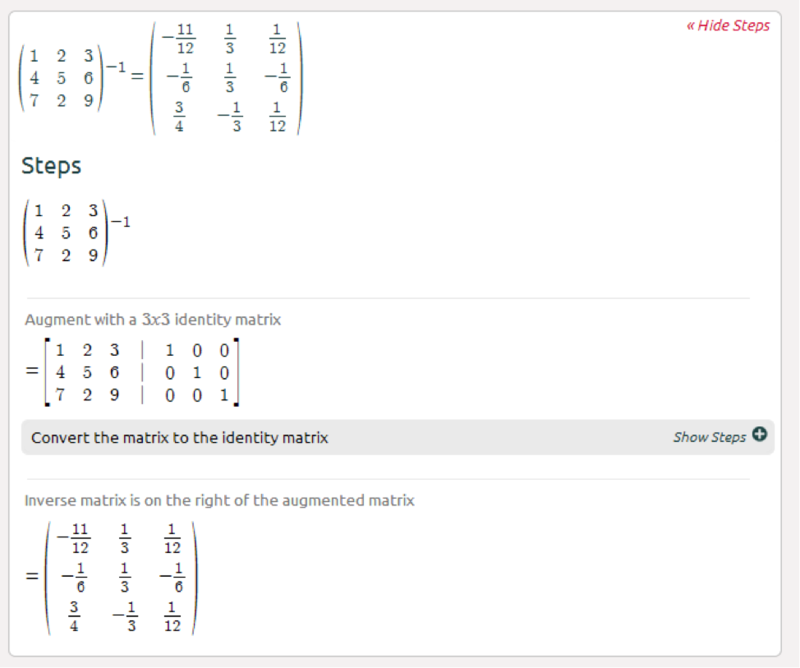 In other words multiplying a matrix by its inverse equals the identity matrix. 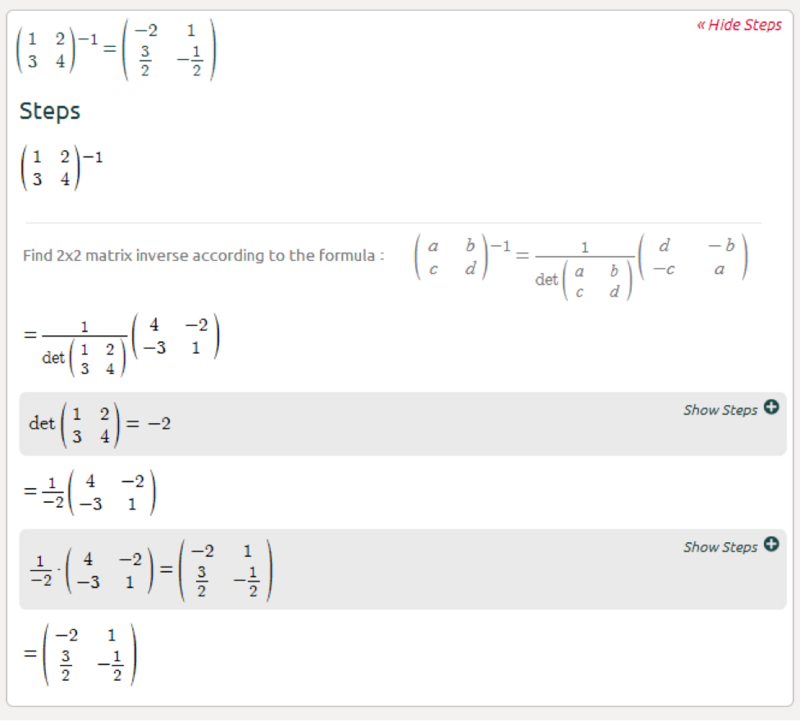 Finding the inverse of a 2x2 matrix is simple; there is a formula for that. The bigger the matrix the bigger the problem. There are two methods to find the inverse of a matrix: using minors or using elementary row operations (also called the Gauss-Jordan method), both methods are equally tedious. We’ll be using the latter to find the inverse of matrices of order 3x3 or larger. For a review of matrix elementary row operations click here. This is one of the things you really want Symbolab to do the magic. Here’s the link to an example with a 4x4 matrix, not for the weakhearted - click here. Check out some dissertation acknowledgements examples right now, so it will be easier for you to accomplish such task in the future! this questions is very difficult. but i guess its solved now. step by step solve this questions.